Federal Court Creates an (Incorrect) Legal Barrier for Post-Graduate Work Permit Restorers. Time for IRCC to Create the Solution. Mistakes happen with applications – missing documents, incorrect fees, expired passports, leading to applications being refused. For those with refused applications, the general process is to rely on restoration, allowing an individual to restore their status to a status they are eligible for and generally still meet the initial conditions of. 182(1) On application made by a visitor, worker or student within 90 days after losing temporary resident status as a result of failing to comply with a condition imposed under paragraph 185(a), any of subparagraphs 185(b)(i) to (iii) or paragraph 185(c), an officer shall restore that status if, following an examination, it is established that the visitor, worker or student meets the initial requirements for their stay, has not failed to comply with any other conditions imposed and is not the subject of a declaration made under subsection 22.1(1) of the Act. (2) Despite subsection (1), an officer shall not restore the status of a student who is not in compliance with a condition set out in subsection 220.1(1). The effect of these two regulations create a major headache for Post-Graduate Work Permit holders who have their applications refused and must now pursue restoration. Unless a student were to throw in an extension of their student status after they graduated (a logically counterintuitive step), there could be issues. Historically, and I have this from a very good source at a local designated learning institution (“DLI”) , Immigration, Refugee and Citizenship Canada (“IRCC”) has been giving presentations encouraging International Student Advisors not to send their students down to the port of entry unless it is an absolute emergency. However, particularly for TRV-exempt applicants, a port of entry (“POE”) application allows a student to get finality in one day as opposed to several weeks if not several months. Resultingly, where some work permit processing takes up to several months or where a student is unable to apply for a post-graduate work permit extension immediately after they are eligible to graduate, the resulting consequence is a refusal could be one where restoration is not an option. In a very strict, black letter law decision, Madam Justice Mactavish ruled that it was reasonable for a IRCC to refuse the Post-Graduate Work Permit Restoration Application of Mr. Nookala, the applicant, who had applied for a post-graduate work permit after the expiry of his student permit. 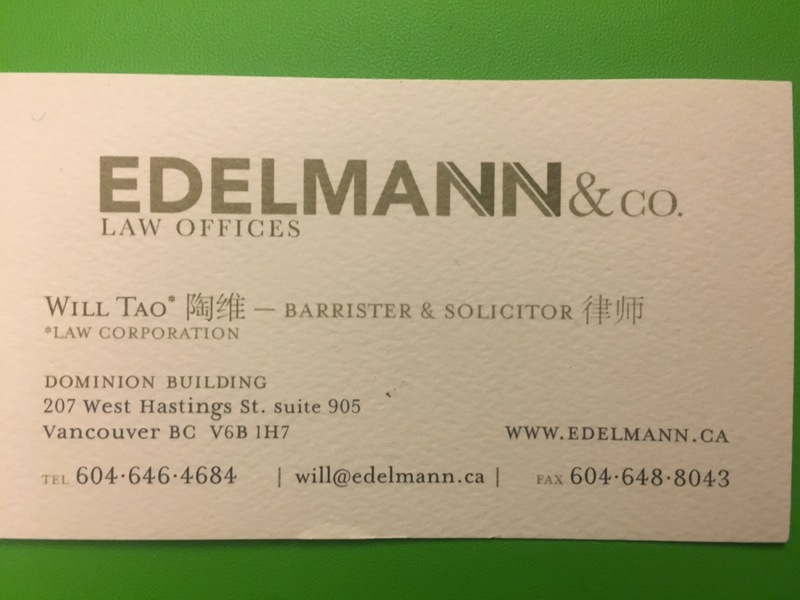 As an aside to the above, I recently went to Federal Court on two separate cases (that were resolved prior to hearing), one where the applicant accidentally restored to worker status instead of student status (although the difference was this was on the advice of IRCC) and the second where a student restored to student and attached a work permit application (where IRCC failed to even see there was a work permit application attached). In Nookala, the immigration officer held that because Mr. Nookala was not in possession of a valid study permit at the time of his application for a Post-Graduate Work Permit (“PGPW”) that he was not eligible for the PGWP and thus also refused the restoration application. Mr. Nookala had argued that section 182 of IRPR allowed an individual who had been studying in Canada on a study permit to restore their status after 90 days and that in restoring his status as a worker (as per his restoration application), he was in fact seeking a momentary student restoration for the purposes of a work permit application. In her decision, Madam Justice Mactavish found that the guidelines did not offer any discretion to fetter and that a reading of subsection 216(1)(e) of the Regulations in accordance with the wording of section 182 required that Mr. Nookala had to establish that he had been accepted into a program of study at the time of his restoration application. Because he did not hold a study permit he failed to meet the requirements of section 182 of IRPR. Interestingly, in an addendum provided by Mr. Nookala, it was put forth that the operative guidelines for restoration suggest that the phrase “initial requirements for their stay” should not be considered too literally in the context of restoration. Justice Mactavish dismissed this assertion stating that the guidelines confirm that “the preferred interpretation in this context would be that the person seeking restoration must meet the requirement of the class under which they are currently applying to be restored as a temporary resident” and that as the refusal accorded to section 182 of the Regulations it was therefore reasonable. The arguably “right” pathway to restoring to work permit status, should have been a restoration to student attached with a work permit application. This has been well established by Rehman v. Canada (MCI) 2015 FC 1021. However, right now, where IRCC themselves are providing contradictory instructions – suggesting a restorer should restore to the status they wish to acquire (in this case worker status), such a mistake is foreseeable and in my mind requires some forgiveness by IRCC. Of course, this runs up against the “reasonableness” standard and opens up the argument that judicial review is not an appeal, particularly where the applicant chooses the wrong path. However, at the very least some sort of reconsideration or triggered procedural fairness request should be created to allow those applicants to switch their applications. The bigger challenge with the Federal Court’s decision in this case, is that there was no analysis done by Madam Justice Mactavish of R.182(2) which in my mind gives breath to what it means to meet the conditions of their initial stay. An individual is not required to enroll until they make their post-graduate work permit application but required to enroll until they “complete their studies.” That is why most study permits are extended for 90 days after an individual completes class. An individual who is restoring their status, cannot be actively pursuing studies (as per sub b) as by definition, they have no study permit so they must fall under (a) and I argue do fall under (a) as they completed their studies and were enrolled there until they completed their studies. I believe failure for the Officer to consider subsection (2) does constitute an important omission of relevant law – which Qin v. Canada 2013 FCA 263 at para 31 seems to suggest could even attract the correctness standard. Finally, if we look at the very spirit of the act under the Immigration and Refugee Protections Act (“IRPA”) s.3(1)(f) “to support, by means of consistent standards and prompt processing, the attainment of immigration goals established by the Government of Canada in consultation with the Provinces.” Section 3(1)(g) also emphasizes that IRPA is to be facilitative of temporary workers. A legislative bar, a requirement that any applicant for a PGWP who may have spent four years studying in Canada under a valid study permit for the opportunity to apply for a post-graduate work permit, has only one shot to get it right. It also does not make sense to require a student to study another four years to gain that right to re-apply or artificially extend their status as a student on the basis of studies they do not wish to actually follow through with. With this much uncertainty in the law and regulation, the best thing that could happen is for designated-learning institutions, lawyers, IRCC, and CBSA to come together to ensure these rules are clear. I understand that IRCC is putting together more concrete regulations on studying but I argue these should be extended to the post-graduate work permit as well and aim to be more facilitative rather than punitive. With so much attention being placed on how Canada’s immigration system needs to better facilitate the immigration of our students, we cannot leave it up to the Courts to strictly interpret was should be policy-wise, understanding and facilitative provisions.